Do you have a scene that requires adding a building, but you're not quite sure where to start? This episode of 'Blender for All' can help you get that start. We'll go through the basics of creating architecture that can go into the Blender scene. This skill of knowing how to model architecture is a great skill to have, whether you'll be modeling buildings for an animated cartoon scene, doing a level in a video game, or actually working in an architectural firm doing building proposals, it's good to know. Check it out in our video below! 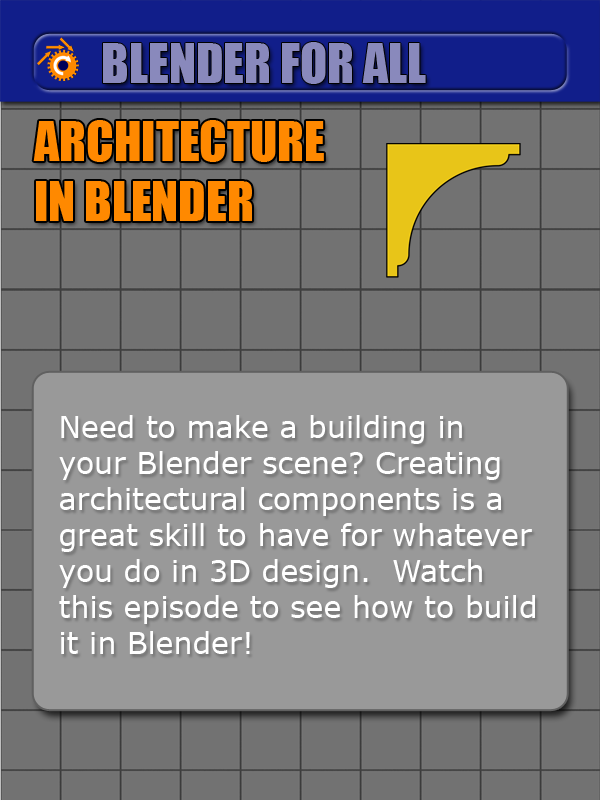 Get the architecture pack for this episode by clicking here.